A contract is a voluntary, deliberate, and legally binding agreement between two or more competent parties. In the business environment, a contract will usually be between two business organizations or between two parties. Although contracts are often written documents, they can also be verbal or implied in a business transaction between two parties. A contract can be classified into various types. This section will look at some of the contract type we have. A simple contract is a contract between two individual, parties or companies. A simple contract requires consideration. A simple contract can either be verbal or written. In fact most oral contracts are simple in type. Sometimes referred to as a contract by deed or a contract under seal. Specialty contracts do not require consideration. This is because some business transactions must be carried out by deed. It must also be noted that all specialty contract must be written. However, it is not all contracts which are written that can be termed a specialty contract. It must further be understood that an activity performed under a specialty contracts have longer limitation period than actions founded on simple contracts. A contract by deed must be signed by both parties in the transaction and is delivered under a seal. Us these contracts are required by law to be so in nature. For example, is a conveyances relating to property or If you buy or sell a land. While all other forms can be termed informal or simple, specialty contracts are formal. Contracts of record describes rulings or judgments passed by a law court or a tribunal or an arbitration by a recognized institution. For instance, if in the course of a litigation between two parties and the two parties reach some agreement; for example, the parties come to an agreement that the case be settled and the judge records their decision in writing, such an agreement, it is called a contract of record. Like other forms of contract what is recorded as agreed by the parties then becomes binding on both parties. A contract can also be categorized as express or implied. 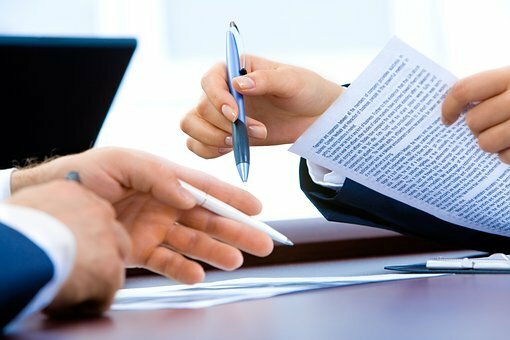 Contract is considered express when the terms and conditions of the contract are stated in words by the parties involved in the transaction. On the other hand, when the terms of the contract are not stated it is said to be implied. An example of an implied contract is when a passenger boards a buss, he is by law expected to make payment for the fare of being transported form where he boarded the bus to where he is going although this may not be written out anywhere on the bus or at the bus station. The law simply implies the passenger to pay and the bus authorities to transport the passenger to his destination safely. Contracts may be either unilateral or bilateral. A unilateral contract contrary to its name does not mean that only one person signed the contract. At thus far we know that there are always at least two parties involve in a contractual agreement. A unilateral contract means that only one party is bound by the terms of the contract. While a bilateral contract is one in which both parties are bound. If you sign an undertaking to pay up a debt you owe by a certain date, you are engaged in a unilateral contract even though you are making this undertaking to the other party (for example, a bank). However, if you agree to give away your car if the other party could provide you with an amount of 1000 USD, then we can talk of a bilateral contract because you are not the only one bound. The other party must first give you a 1000 USD.